A fervent Buddhist lady made every effort to love others. But every time she went to the market, a merchant made indecent proposals to her. One rainy morning, when the man bothered her once again, she lost control and hit him on the face with her umbrella. That same afternoon, she sought out a monk and told him what had happened. I spoke with a mentor about how a community can and should respond to blatant acts of hate speech. Taking a perspective filled with youthful naïvety, I claimed that the best response is one well thought out. A response that shows unity despite such hatred would show the perpetrators that they could never shake us. A bully picks on people to get a reaction, so if the person or community gives no reaction, the bully will eventually get bored. What a thoughtful and sensible response, I thought. Joseph Goebbels: [in German; subtitled] How many seats in your auditorium? 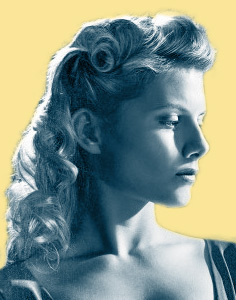 Shosanna Dreyfus: [in French; subtitled] Three hundred and fifty. Joseph Goebbels: That’s almost four hundred less than the Ritz. Fredrick Zoller: [in German] But Herr Goebbels, that’s not such a bad thing. You said yourself you didn’t want to indulge every two-faced French bourgeois taking up space currying favor. With less seats it makes the event more exclusive. You’re not trying to fill the house, they’re fighting for seats. Besides, to hell with the French. This is a German night, a German event, a German celebration. This night is for you, me, the German military, the High Command, their family and friends. The only people who should be allowed in the room are the people who will be moved by the exploits on the screen. I couldn’t help but think of Shosanna’s courageous reaction during recent events on campus. As an involved member of Duke’s Jewish community with a position on Jewish Student Union’s executive board I have felt flooded with reactions from fellow students, cultural groups, professors, family and friends to the hate speech. And, I am not alone in feeling this way. This past week, there was an open conversation allowing students to air their reactions to recent events. Listening to the comments, two things became immensely clear to me: 1. there is an incredibly strong and supportive community of students and 2. there is a lack of consensus regarding what the best response to such hate speech is. After observing this, I was determined to search for examples of “best responses.” My mission to compare how people reacted began. Like any diligent researcher, I began my mission with reading. First source: the Duke Chronicle. And, what I found was fascinating. Recalling my two observations from earlier that week (1. there is an incredibly strong and supportive community of students and 2. there is a lack of consensus regarding what the best response to such hate speech is. ), the answer to my research question immediately clicked. The answer to point 2 was point 1. That is, the best response to such hate speech is the incredibly strong and supportive community of students. Since, hate speech looks to derail this community, the best way to combat it is to not only prevent it from doing so, but to also use the hate speech as a means to bring the community even closer. This is not unlike what Shosanna did. She, like us, was mobilized by an otherwise immobilizing event and instead of crumpling under fear or anger, showed others her strength and resilience. “And to my fellow Jewish community members, especially to our undergraduates: I am honored to share this place with you. I hope you know how important you are to those of us who have made Durham our home, and I hope you also know how special this community is. I am overjoyed, as you should be, that ours is a community that created the beautiful Pittsburgh tribute at the free expression tunnel. A disgraceful defacement does not change who we are. In no way am I saying that Duke is perfect. No place is. Nor am I trying to undermine the impact and implications of such hate crimes anywhere. I am, however, confident that Duke’s strength far surpasses any level of fear such actions can put on any community on campus. And, it is that strength that I call “Shosanna Strength” that keeps my fellow Duke students and me happy, even in troubling times. I love it here, and I so hope you decide to come. I showed this letter to my mentor before sharing it with others, proud of my conclusion and ready to share it with whoever would read it. I waited eagerly for her feedback as she typically shares fascinating insights. This time was no different. She explained how thoughtful the response suggested in the letter was, but expressed concern as to the limits of thoughtfulness. I asked her to expand as I couldn’t understand how thoughtfulness could be limited. She explained that to people who come from certain background and think certain ways, the letter’s response would be sensible; however, the people who perpetrate hate speech likely don’t think in an even remotely manner and therefore the thoughtfulness may be ineffective. Reflecting on her comments, I recalled my original idea of all bullies as eventually getting bored when they don’t receive a desired reaction. I realized that although this may be how I would think if I were in a bully’s shoes, this manner of thought is far from universal. There are people that think so different from me that even significant amounts of thoughtfulness still fail to address their perspective. Additionally, while the letter suggested a rational response, it doesn’t acknowledge how hurt or fearful some people felt. It didn’t engage with emotion nearly as much as it engaged with logic. All that is to say that we each think, speak act and learn differently. As the Ancient Parable demonstrates, for some words are effective to change behavior, but for others only action will suffice. What’s most important is that the chosen response is in a manner that best ensures the message penetrates. There may not be one “best response” to baseless hate speech, but engaging in conversation is a tremendous step in the right direction. While Shosanna Strength and thoughtfulness have their limits, they are important tools to keep in mind during such discussions. And, when these tools supplemented with proper amounts of perspective and emotional awareness, they become even more effective.